I should be packing for our weekend trip away but I thought I'd quickly post these photos of some more easter decoration around the house. I bought these black & white easter eggs at ALDI. I know- not the kind of place I would really think to get decorations from but I really liked the rabbit silhouettes on plain white eggs. You could easily make them yourself with a fine black marker or ink. 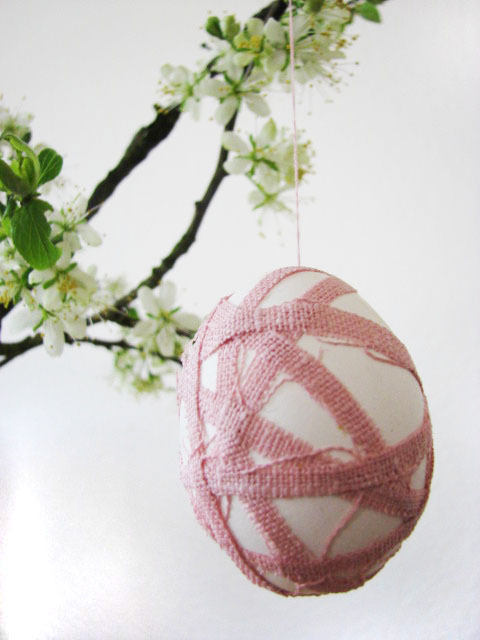 I made the egg below using some of the leftover pink cushion fabric (here). It was really quick and easy. I used wallpaper glue which I always have a glass made up for the kids when they do some crafts. Ok, I better run now. We are off to Ghent (Belgium) for the weekend to spend some time with friends. I love how here in Europe you can hop over to another country in less than three hours. Have a great weekend everyone, and thank you so much for your sweet comments throughout the week. They really make my day. 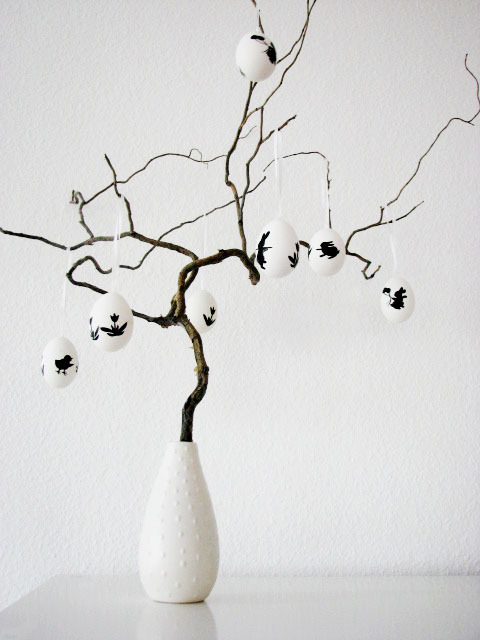 Nina, I love the DIY Easter egg,easy to do for beginner like me :) also a very sweet decoration.